I’m a research junkie. 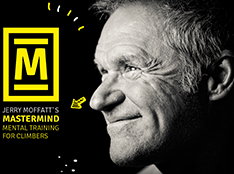 I’ve been a student of exercise physiology, sports psychology, and motor learning for more than 25 years. While the science of climbing is still relatively young, there’s a growing body of research that’s helping coaches and trainers dial in their practice techniques and training protocols. 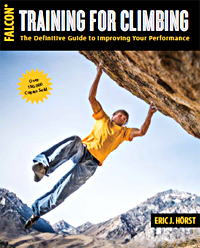 The just-released 3rd edition of my book, Training for Climbing, includes a full chapter on the physiology of climbing, and the chapters on training strength, power, and endurance leverage this science to provide optimal results. With two of my research heroes, Drs. Nick Draper and Phil Watts! Leading the way on climbing research are the members of the International Rock Climbing Researchers Association (IRCRA), and I was honored to provide a keynote address at the recent IRCRA Symposium in Telluride, Colorado. Many of the world’s top researchers were in attendance, and they presented their latest research findings and welcomed open discussion—a priceless opportunity for trainer such as me! As a community, we’re lucky to have these scientists helping advance our sport in the laboratory. 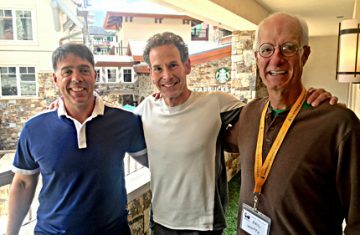 In a future article, I’ll present an overview of my presentation “Bringing the Science to the Coach & Climber” (as well as a few of the other excellent researcher presentations), but in this article I will briefly summarize three papers presented at the Symposium that provide clues into the importance of finger strength and the benefits of targeted fingerboard training. When tested in a climbing-specific way (using a 23mm edge on a Metolius “Woody Grips” fingerboard), however, this study found significant correlations between climbing performance and Relative Peak Force (0.77*), Relative Maximum Isometric Force (0.73*), and Rate of Force Development (0.61*). Of the five tests examined in this study, it was Maximum Finger Hang (0.83*) that correlated most highly to climbing performance. Furthermore, the Maximum Finger Hang strongly correlates to Relative Peak Finger Force (0.85*) and Relative Maximum Isometric Force (0.84*). 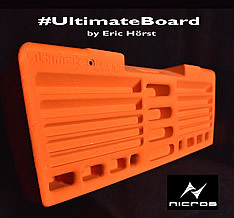 Rock Prodigy hangboard by Trago. 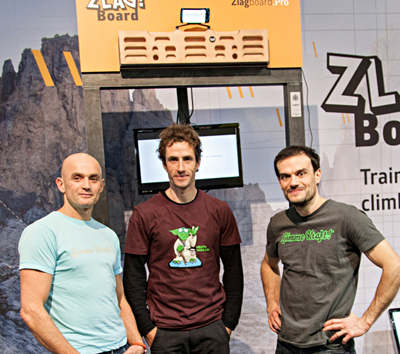 In this study, the RPTC hangboard is evaluated by comparing pre- and post-training performance of climbers, quantified in terms of finger force production and overall climbing performance. The RPTC was evaluated from the training data of 118 users. The training consisted of several sets of two-arm dead-hang “Repeaters” that follow a predetermined sequence of grips. The intensity can be increased or decreased by hanging supplemental weights from a harness or through use of a weighted pulley system that assists the athlete. 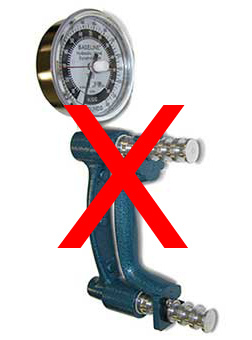 This weight is also used to quantify the athlete’s finger strength. Respondents recorded their Weighted Hanging Ability (their body weight plus/minus any added/subtracted weight) on specific grips during their training, as well as their personal best climbs before and after training. Train three to seven different grip types with one (entry-level) to three (advanced) sets of Repeaters per grip. Each set of Repeaters is comprised of 6 hang-rest intervals consisting of a 7-second hang and 3-second rest. Add a submaximal amount of weight to make each hang challenging but yet not so heavy that you can’t complete a set of repeaters. Rest three minutes between sets. Results: Respondents reported subjective qualitative improvements as well as significant increases in Weighted Hanging Ability. Average finger strength gain over the initial four-week training phases was 21.5%, and a total of 32% improvement was found over multiple training phases. Therefore, the RPTC is an effective program for improving finger strength and climbing ability. 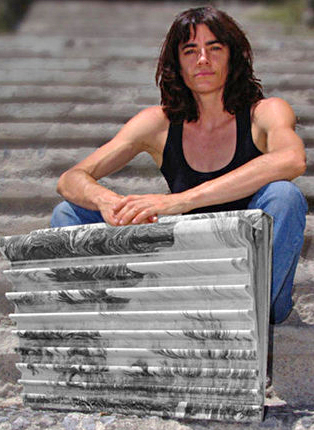 Eva López-Rivera and her Transgression hangboard. Eva López-Rivera is the rock star of hangboard training research, and she’s even designed two novel training boards called “Progression” and “Transgression”. Eva has been studying hangboard training for several years, and she’s studied a number of different training protocols and programming concepts. In this study, Eva compared three training protocols designed to increase finger flexor strength: 1.) a low volume of maximum-weight hangs with long rest intervals between hangs, 2.) a medium volume of sub-maximal hangs with incomplete rest between hangs, and 3.) a combination of methods #1 and #2. 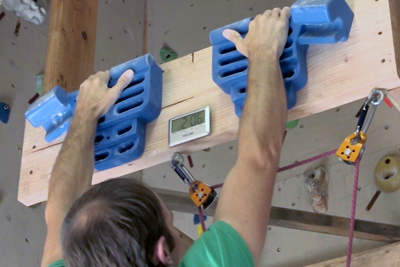 As a metric of maximum finger strength, the 26 participants in the study (average redpoint ability of 5.13a/b) were tested pre-study, after four weeks of training, and post-study to determine the maximum added weight while hanging off a 15mm edge for 5 seconds. Group 1 – Low volume with maximum weight and complete rest. Eight weeks of training with 3 – 5 single-hang sets consisting of a 10-second maximum-weight hang followed by a 3 minute rest. 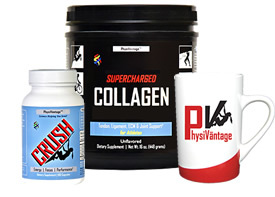 Results: Average strength gain of 15.2% after 4 weeks and 28% after 8 weeks of training. Group 2 – Medium volume with sub-maximal weight and incomplete rest. Eight weeks of training with 3 – 5 sets of “repeaters” comprised of 4 to 5 10-second sub-maximal hangs with a 5-second rest between each hang. Each set of hangs is followed by a 1-minute rest before commencing with the next set of 4 to 5 hangs. Results: Average strength gain of 4.6% and 13.9% after 4 and 8 weeks of training, respectively. Group 3 – Used group 1’s training protocol for four weeks and then the group 2 protocol for four weeks. Results: Average strength gain of 20.6% after 4 weeks of maximum-weight training, however, 6% of these strength gains were lost after the 4 weeks of training with sub-maximal hangs. 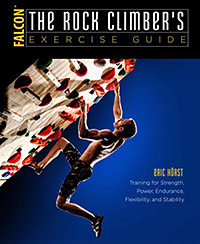 While not appropriate for a novice climber, regular hangboard training is a valid strategy for increasing finger strength and improving performance among intermediate and advanced climbers. Popular “Repeater” training protocols with sub-maximal weight will yield significant quantitative and qualitative gains…and may be optimal for training strength-endurance (aka “resistance”). The results of these studies suggest that the low-volume maximum-weight hangboard protocol is most effective at increasing finger flexor strength and positively influencing relative peak finger force and maximum relatively isometric strength.